It’s a little anniversary that went by practically unnoticed. 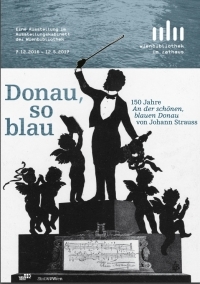 Johann Strauss Junior’s “Blue Danube” is 150 years old since February 15, 2017, as it had its first performance in 1867. The melody is perhaps the best-known waltz – and arguably even one of most-loved piece of classical music ever. “An der schönen blauen Donau“, as it is known in the original German, was first commissioned by the Vienna Men’s Choral Society. The idea was to cheer people up after Austria had lost an important and bloody battle against Prussia, at Koniggratz, the previous summer. The words were penned by the society’s own lyricist, a policeman, although they have long since fell from use. It was only when the piece was given a full symphonic arrangement and was performed in Paris later in 1867 and soon afterwards in London, that the waltz really took off. The reaction was, simply put, rapturous. “The Blue Danube” now symbolizes the elegance of Vienna’s 19th-century and waltzing in general. The incredible sweep of the song is one of the reasons Strauss was known as a composer’s composer, earning praise from Brahms and Tchaikovsky amongst many others. There is no doubt that the use of waltzes by famous composers owes a lot to the two Strausses, father and son. Inevitably, it is also a major feature of the annual Vienna New Year’s Concert every January 1, and is Austria’s unofficial national anthem. 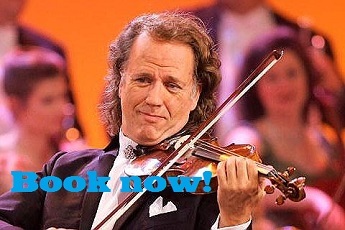 More recently, Italian tenor Rudy Giovannini did a version with lyrics, “Blue Danube of Mine” translated as “Balue Donau” in German for the album Viva Strauss. When Austria declared its independence from Nazi Germany in April 1945, “The Blue Danube” was performed since at the time the country did not yet have an official national anthem. Famous uses in movies include memorable scenes in Stanley Kubrick’s “2001: A Space Odyssey”, “Cool Runnings” and “Titanic”, to name but a few. In case you are wondering, it is a long time since the Danube ran blue. It is now more a gray-green colour! For details (in German), visit the Vienna Library site.